For the estimated 15 million Americans who live with food allergies, eating safely can be stressful — especially when it comes to accidental exposure to allergens. In fact, according to the Centers for Disease Control, someone ends up in the emergency room every three minutes because of an allergic reaction to food. Among the most common food allergies are those to nuts: the CDC notes that the prevalence of children in the U.S. who have a peanut or tree nut allergy more than tripled between 1997 and 2008. So when a new breakthrough in treating peanut allergy was announced, a lot of people took notice. In short, yes, this is good news, but it’s not a cure. Here’s what parents need to know. According to a clinical trial conducted by researchers at the American College of Allergy, Asthma & Immunology and published in the New England Journal of Medicine, it may soon be possible to minimize the effects of allergic reactions to peanuts by taking a drug that builds one’s tolerance to the nuts over time. The trial, which included 372 children ages 4 to 17 analyzed the effectiveness of AR101, a medication that contains small doses of peanut protein. And while the administered amount varied, during the study, protein levels were gradually increases until a maintenance dose was reached. The maintenance dose was the equivalent of one peanut daily. The downside was that this process was slow. Treatment took anywhere from nine to 12 months. However, at the end of the trial, two-thirds of the participants had built up enough immunity to protect them if/when they were accidentally exposed to peanuts. It is important to note that this drug is not a cure for peanut allergy — it is a potential treatment that, when taken over time, could help lessen the blow of accidental peanut exposure. 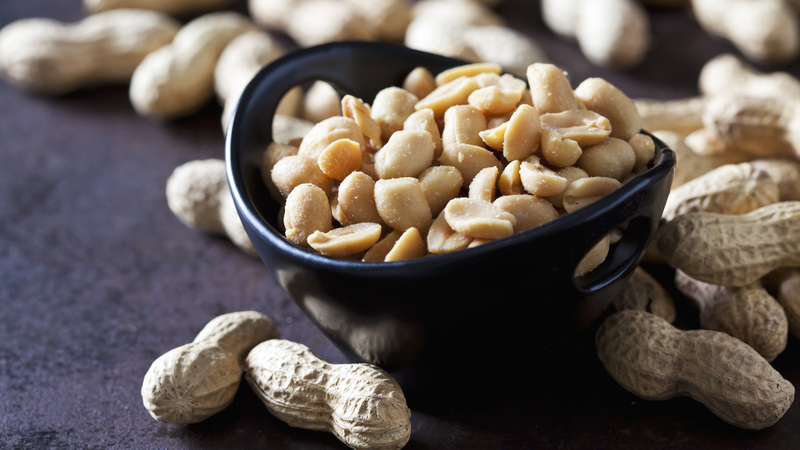 “This is not a quick fix, and it doesn’t mean people with peanut allergy will be able to eat peanuts whenever they want,” Dr. Jay Lieberman, an allergist and vice chair of the ACAAI Food Allergy Committee and study coauthor, said in a statement. It also isn’t without its faults. Almost all of the participants in the study had some type of adverse reaction, and 10 percent withdrew from the trial because of gastrointestinal, skin or respiratory problems or systemic allergic reactions. In addition, 14 percent of AR101 patients and 3 percent of placebo patients experienced systemic allergic reactions during the study; of these, one reaction was severe. But the drug does offer hope.